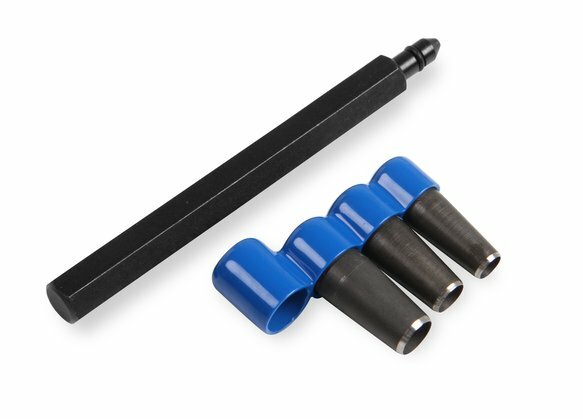 The Mr. Gasket Punch Tool kit is perfect for creating custom gaskets or modifying existing ones to meet your needs. This punch design minimizes the raised area around die cut holes referred to as "welting" resulting in a uniform flat surface in the end of the punch. The unique bevel profile improves cutting thick materials without sacrificing punch durability. Includes mandrel and 5/16", 3/8", and 7/16" hole cutting punches. Allows cutting bolt holes in composition gasket material accurate, quick, and easy.